Today is the day that I've hit the big 2-0 and I'm no longer a teeny teenager (even though as my friends like to say it, I don't look a day over 16). To celebrate this day I've decided to whisk myself a healthy alternative to cake. (Being gluten free the cakes usually require a lot if butter). 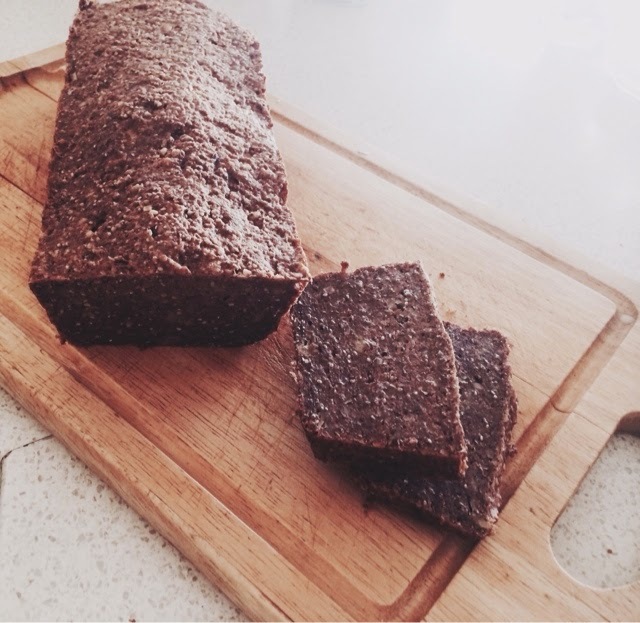 After scouring the internet for a couple of hours I found this banana recipe on deliciouslyella's website. I must say it wasn't cheap to make with all the engredients I had to buy, however the cake (well bread really) turned out beautifully and for me it's guilt free to eat. What do you want more? Now I'm off to eat some cake and presents. I hope you are having just as a lovely day as I am!